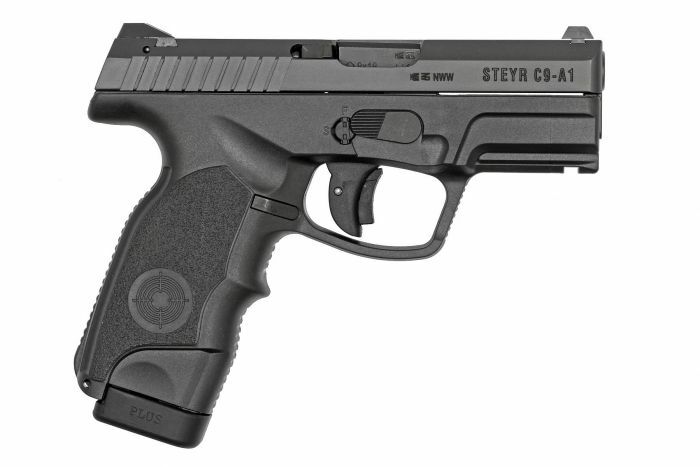 The Steyr C-A1 striker-fired pistol is a compact, semi-automatic, double-action handgun available as the C9-A1 chambered in 9x19mm Parabellum (17-rounds) or the C40-A1 chambered in .40 Smith & Wesson (12-rounds). 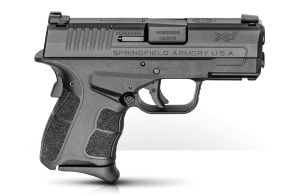 The C-A1 is somewhat of a hybrid, combining the compact length of the Steyr S-A1 pistol with the full-size grip of the Steyr M-A1 pistol. 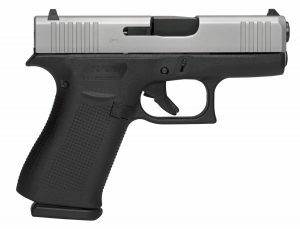 The barrel of the C-A1 is 3.6” (92mm) long and provides a platform that is ideal for self-defense carry by offering a short overall weapon length while ensuring optimal grip control. An integrated Picatinny rail allows for simple mounting of a laser or light and slide-racking grooves on the back of the slide allow for a firm grip when manually operating the action.